The Budapest Festival Orchestra's appearance at the Proms mapped the area of crossover between eastern European heritage and the western tradition, its forms (the Overture, the concerto, and the symphony) and its institutions (the symphony orchestra). All three pieces featuring in the programme were by eastern European composers (Prokofiev, Bartòk Dvorák) who have long been accepted in the canon, and all pieces traced in one way or another a moment in which each composer negotiated the coexistence of their heritage with the medium of the western music industry. Prokofiev's Overture on Hebrew Themes was quickly knocked together for a Jewish folkloristic ensemble he met when he was struggling to establish his name in the United States. It is a fun piece, animated by an irresistible klezmer feel and a volatile pace. It is also a piece of modest pretensions, which leaves me bemused as to the scope of its grand orchestration, and the suitability of the latter as a concert opener (surely a short fun piece such as this has 'mid-concert buffer' or even 'encore' written all over it?). Once the music started, I knew my qualms were not unfounded. The orchestration itself is not a specimen of Prokofiev at his happiest hour: the rhythmic bite of the original overture was diluted into the halo of sound of the massive string section playing, surprisingly, much less pizzicato or col legno than you would have expected from such a rhythm-heavy piece. The clarinet melody was distributed among several instruments, a gesture as democratic as it is dispersive, leaving the clarinet soloist to get up and sit down again way too often for comfort, and only for a few short entries. All of this was negatively compounded by the uncommitted conducting and dodgy ensemble playing of the orchestra—though, can you blame them?—making for a poor opening of what turned out to be a remarkable concert. Enter Bartòk's Second Violin Concerto, whose composition history slots into the western/eastern Europe crossover theme perfectly: the composer had to rethink his original plan for an extended theme and variations rhapsody in order to comply with the wishes of his soloist, who wanted a good old three movement concerto. Despite the formally traditional plan, this work is as wildly inventive and as rhapsodic a concerto as you’ll ever get, and it requires a violinist of unwavering tuning and flexibility. 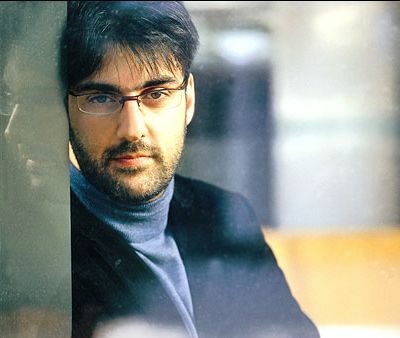 This is exactly what it found in the miraculous performance of Leonidas Kavakos. Kavakos is one of those players able to sustain a raw physical drive that seemed almost at odds with his degree of precision. Anyone who heard those quartertones in the first movement last night will have experienced precisely this rare quality: one could almost sing-along to the quarter tones, was it not for this halting guttural quality that seemed to reveal their provenance from remote recesses of the violin’s hollow frame. I had the impression that Iván Fischer took some time to tune into Kavakos' wavelength into the first movement, but when we reached the fast section of the second movement, those delicious woodwind, harp and percussion shivers accompanying the violin’s restless quivering were exquisitely executed. But it was the third movement that really showed off the orchestra and Kavakos’ ability to skip from one episode to the next with flair and indefatigability, with the final fiendish violin cadenza bringing about an infectious, electrifying close. The last piece of the evening was Dvorák's Seventh Symphony, another tale of negotiation of the composer's personal and musical love for his country with Brahmsian rigor. It is a successful negotiation: melodies are duly fragmented and turned into motivic climaxes, sequences and the like, and not one bit of Dvorák's invention is left unused. Fischer balanced the sound well, so as to show off Dvorák's prowess in motivic development, but also held the reins tightly in the admirable scherzo, where the innocuous 6/8 of the first movement turns into a devilish 6/4 where waltz and binary pulse combine into one rhythmic propulsion. A personal favourite was the mini-woodwind chorale opening the second movement: Dvorák's love of chorales in his slow movements reminded me of the beautiful anthem at the beginning of the concert, adding yet more depth to a gesture that was all but trivial. This was a concert that gathered up momentum as it progressed: the orchestra and conductor becoming more and more involved in the music as they played. The riotous applause for both the Violin Concerto and the Dvorák was well deserved and yet, paradoxically, it is difficult to justify a substandard opening performance by an orchestra that is clearly capable of first-class music making.